Inicio/Spanish Language, This is Spain/Where does Catalan come from? Where does Catalan come from? Last Sunday Catalonia held parliamentary elections (the two pro-secessionist parties won 47.8% of the vote, which means 72 of Catalonia’s 135 seats, and 52% of Catalans are content with the status quo) and over the last weeks some students have been asking us about their language: Catalan (“catalán” in Spanish and “català” in Catalan), so today we are going to learn a little bit more about this Romance language that developed independently out of the vulgar Latin spoken by the Romans who colonized the Tarragona area (north eastern Spain). Catalan is the official language of Andorra and an co-official language, along with Spanish, in Catalonia (Catalunya), Valencia (Comunitat Valenciana) and the Balearic Islands (Illes Balears). 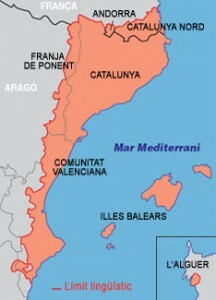 It is also spoken in parts of Aragon and Murcia, Pyrénées-Orientales (southern France) and Alghero (Sardinia, Italy). 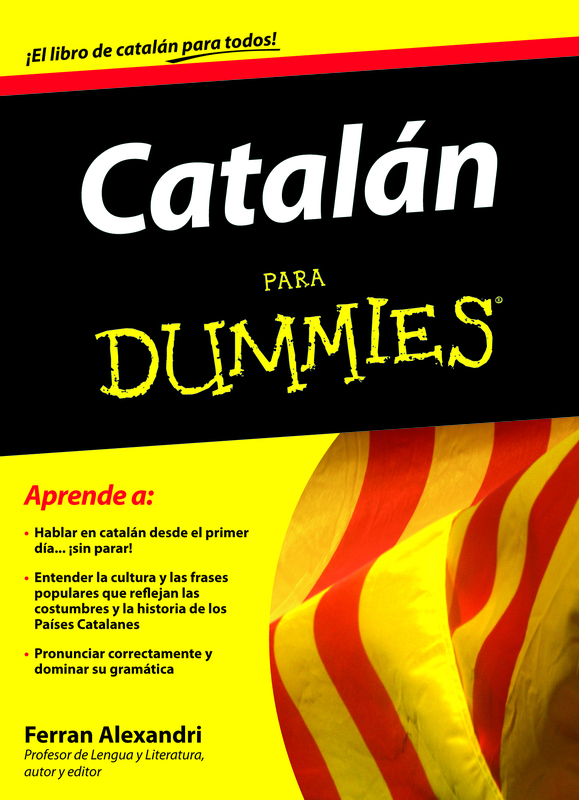 More than 9.5 million people speak Catalan and more than 11 million people understand it. This language appeared as a distinct language during the 10th and 11th centuries. During the 12th century, Catalan began to appear in writing. After the War of the Spanish Succession (1705-1715), Philip V abolished all the government institutions then existing in Catalonia and implemented Spanish laws. Catalan went through various periods of prohibition and repression. It wasn’t until the 19th century and the rise of the nationalist cultural movement, known as the”Renacimiento” (Renaissance), that Catalan was revived as a literary language. During the first 30 years of the 20th century, Catalonia went through a period of political fervour, culminating in the recovery of a degree of political power in the Generalitat (the Government of Catalonia) during the 1930s. During the Second Republic (1931-1939), Catalan was restored to its official language status, which it had lost in the 18th century. However, this promising future was checked by the Civil War and its consequences.The fascist regime that emerged triumphant from the civil war in 1939 did everything in its power to stamp out the official and private use of Catalan. Harsh penalties were imposed for speaking it. After the death of the Spanish dictator General Franco in 1975 the Catalan language enjoyed a revival. Ever since the restoration of democratic institutions (1978), there has been a process to re-establish the use of Catalan. The arrival of thousands of immigrants from Spain’s impoverished south further consolidated the use of Spanish as the lingua franca of Catalonia. Most of these immigrants (or their children) have come to understand/speak Catalan since democracy was restored. However, immigration from Latin America over the past 10 years means over half the Catalan population claim Spanish as their mother tongue. Since the early 1980s, the imposition of a system known as “immersion” with Catalan as the only vehicular language in state schools, has guaranteed everyone educated in the past 30 years has a command of it. 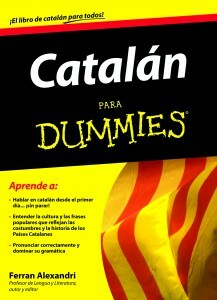 However, thanks to the presence of Spanish in daily life and the media, virtually all Catalans are perfectly bilingual. How are you? = ¿Com estàs? How much is it? = ¿Quant costa? Where are the toilets? = ¿On son els lavabos?